This week, multiple members of the Invest Buffalo Niagara team are dispersing across the country and even internationally to spread word of Buffalo Niagara’s resurgence. Below are where we’ll be, what for, and what we’ll be doing. Our Research Director Matthew Hubacher is headed down to Miami for Area Development Consultants Forum. Site selectors are decision influencers in economic development, consulting companies on location decisions as experts on what regions have to offer. Matt handles much of our site selector outreach, including a bi-monthly email newsletter. He also attends conferences to foster an in-person relationship and help further improve the perception of Buffalo Niagara. In the past few months Matt has been to Seattle, Dallas, and Greenville for other site selection conferences. Our COO Jenna Kavanaugh is headed to ECONOMIX in Nashville, another industry conference. ECONOMIX is a blending of economic development professionals, coming together to stir additional insights and practice tools to enhance work in their respective communities. There will also be 24 site selectors present for meetings and networking. If you’re interested in seeing some of the marketing collateral we’ll be handing out at these conferences, we’ve got you covered. We’d like to thank our investors for allowing us the resources to help better Buffalo Niagara. Luckily, we don’t have to do it alone. Our community is behind us, helping to advocate for our region to their family, friends, and coworkers. We have a one-stop-shop to help arm you with all you need to promote Buffalo Niagara, too. 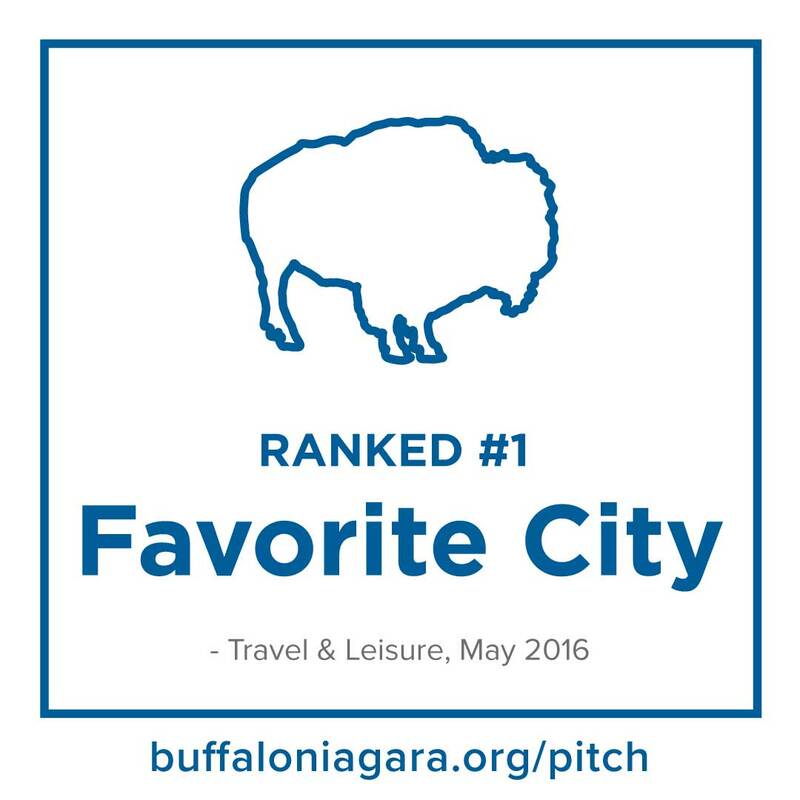 Pitch Buffalo Niagara features free photography, statistics, regional accolades, and more for when you need to go to bat for your region. Example: We’ll be flying to these trips out of the Buffalo Niagara International Airport, ranked the best medium sized airport by JD Power, an accolade that can be found on Pitch Buffalo Niagara. We have a weekly newsletter with content promoting Western New York that you can easily share to your social networks. 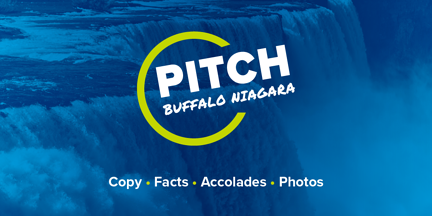 We want to make it as easy as possible to help Pitch Buffalo Niagara, so while we’re on the road you’ve got us covered back home. Want to be a Buffalo Niagara champion? We've got you covered. Again.